Size: In total, the Solio Ranch is 182 km², of which the wildlife conservancy covers 70 km². The remaining part is used as grazing fields for the cattle of the ranch. Location: the Solio Ranch, just south of the Equator, is part of the Laikipia eco-system, which in its turn is about 8700 km². 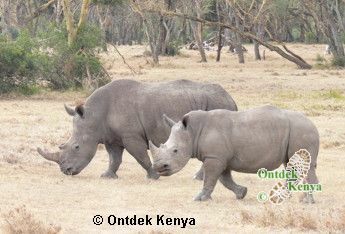 The Laikipia eco-system has lots of ranches and wildlife conservancies. 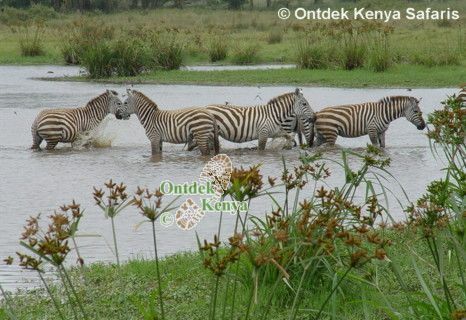 The Solio Ranch is in central Kenya, in between the Aberdare Range and Mount Kenya. Driving time from Nairobi is 3 to 4 hrs. 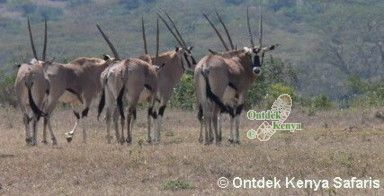 The wildlife conservancy is at about 1900 m above sea level. Landscape: Solio consists mainly of open grasslands, scrub land and a swamp with thousands of Yellow Fever Trees (a kind of acacia). It's possible to take pictures of the game with the Aberdare Range or Mount Kenya in the background. Bird species: over 300 bird species have been recorded in the conservancy. Visitors: the Solio Ranch is visited by few tourists. It is never crowded in the conservancy. Accommodation: within the conservancy, the only option of accommodation is the top end Solio Lodge. However, in the surrounding area, there are lots of good lodges and hotels. We usually book our guests in the Aberdare Country Club, which is only a 20 min drive from the Solio Ranch.